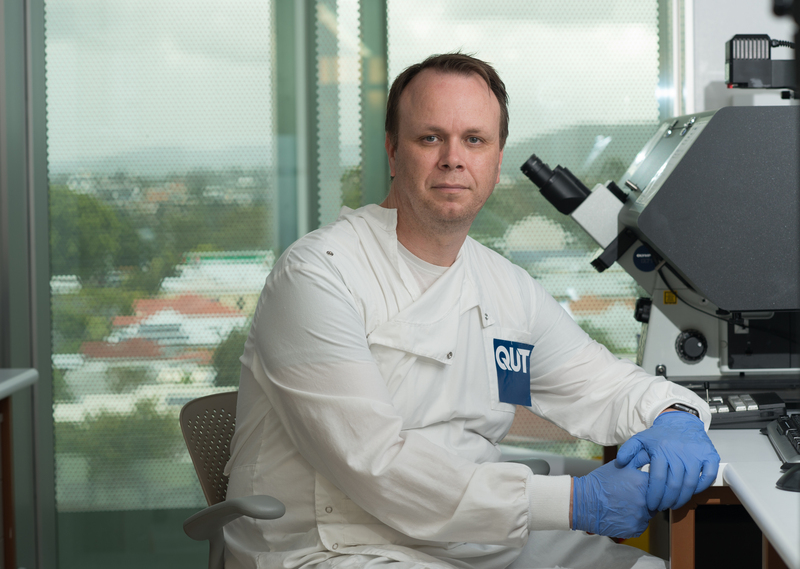 The work of QUT’s Cancer & Ageing Research Program (CARP) scientists to develop the next generation of cancer drugs has been boosted with a grant totalling $2.5 million from the William and Hilde Chenhall Research Trust. 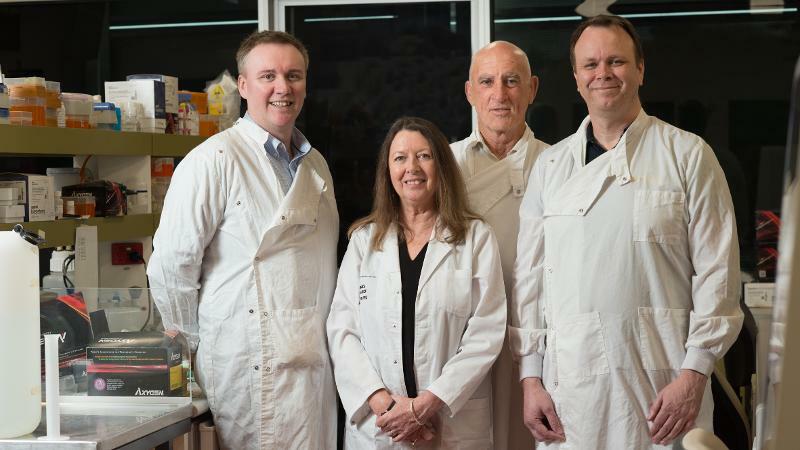 Executive Director of QUT’s Institute of Health and Biomedical Innovation (IHBI) Professor Lyn Griffiths announced the grant from the Sunshine Coast trust for the continuation of the Chenhall Chair for Cancer Research. The $500,000 per year funding over the next five years commences on April 1, and continues a four-year association between IHBI and the Chenhall Trust. CARP Scientific Director and Chenhall Research Scientist Professor Derek Richard said the trust’s support had been invaluable. “I would like to thank the Chenhall Research Trust and trustees Paul Bone and Andrew Markert for such important support that advances medical research,” Professor Richard said. Among the CARP team’s developments to date is the drug candidate DKLS02, which has the potential to be used to treat a range of different cancers, including lung, prostate and melanoma. Phase one clinical trials are expected to start by the end of this year. Chenhall trustee and Noosa solicitor Andrew Markert said the trustees understood the challenges that researchers faced in regards to funding. “From our various meetings with Professor Griffiths over the past several years, we always felt her concern for the employment uncertainty her researchers faced, with most government funding on an annual or bi-annual grant basis,” he said. “We still had a year and a bit to go on an existing grant to IHBI, but her concerns led us to this decision for long-term support, and it was special to receive her thanks when we surprised her with the news. Professor Griffiths said the university was fortunate to be a beneficiary of the Chenhall Trust, and she hoped the news might inspire others to consider such private bequests for medical research within their means. “Philanthropic support such as from the Chenhall Trust means that researchers have continuity, and every week of work by a researcher is a step closer to their goal and to better health,” she said. Main image: Chenhall Research Trust trustees Andrew Markert (left) and Paul Bone (second from right) with Profesor Derek Richard and Professor Lyn Griffiths.